The official closing party for Traverse 17 will be taking place at the fantastic Ibérica in Canary Wharf on the Sunday evening, directly after the last Traverse 17 session. We’re delighted that the Spanish Tourism Office, one of the key sponsors for the conference and long term partners of Traverse, will be supporting the evening. 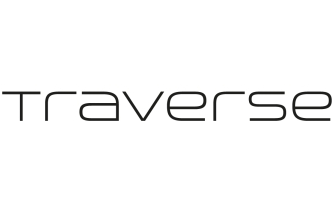 The event will begin at 7pm, with a welcome drink at the fantastic La Terraza terrace before drinks, food and music commence for the last part of Traverse 17 in London. Located in Cabot Square, the restaurant and bar in Canary Wharf offers the ideal location for drinks and tapas, a quick lunch or relaxing over a Spanish meal at the weekend. With something for everyone, guests can choose between the buzzy ambience at its bar and lounge area or a quieter table on the mezzanines. For almost a decade, Ibérica has made it its mission to bring an authentic Spanish dining experience to Brits across the UK and championed the ‘Terrace’ culture typical of every Spanish city. For more information visit http://www.spain.info/ or follow the Spanish Tourist Office on Twitter, Facebook, YouTube or Instagram. For more information about Ibérica restaurants, visit http://www.ibericarestaurants.com.